Repossessed properties can be the bargains investors are looking for. 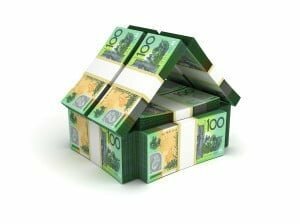 Repossessed properties, more commonly known as mortgagee sales can present a prime opportunity for people to buy into high-growth markets at a lower price. When a homeowner stops making mortgage payments, the bank or lender has the power to take possession of that property – and they generally want a quick sale to recoup the outstanding monies. The lender will almost always choose to sell at auction in order to keep the process as fair as possible for all parties involved. From the buyer’s perspective, purchasing a repossessed property works in the same way as any other property sale, but there can be some restrictions. In some cases the bank may remove certain rights buyers have under a standard contract, such as the builder’s guarantee. Buyers may also be required to put down a minimum deposit of 10 per cent, and there may be no negotiation on the terms of the sale, either. Investors who want to buy a property at a mortgagee sale may have to do a little groundwork beforehand. One way to identify these properties is to visit one of the websites listing mortgagee sales across Australia. Alternatively, a search for ‘mortgagee sale’ on a property portal is likely to return listings in this category. Another alternative is to talk to a buyer’s agent. Prospective buyers should, however, be aware that some properties offered at mortgagee sales that have been neglected for some time may require renovations. Another downside of distressed sales is that as more people understand the possibilities presented by this type of investment, competition for these properties has become fiercer.